The State Railway of Moldova (CFM) and Danube Logistics SRL, the general investor and operator of Giurgiulesti International Free Port, reached an agreement on the regular transportation of sea containers between Giurgiulesti International Free Port (GIFP) and Chisinau railway station. 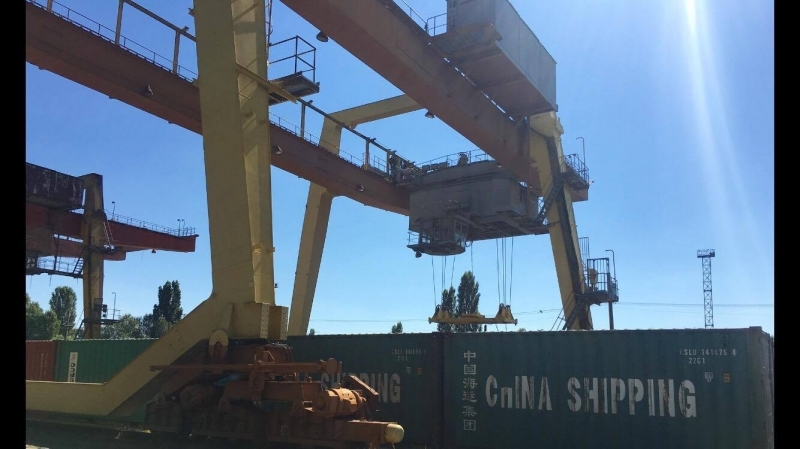 On 1st of August the first 40 containers were delivered from GIFP to Chisinau by railway in order to facilitate the export of grain in sea containers to South-East Asia. Initially the Giurgiulesti – Chisinau container transportation service is envisaged to be weekly. The block train reaches the destination in approximately 12 hours. In order to simplify logistics and for convenience of exporters/importers Danube Logistics decided to establish a depot for empty sea containers at Chisinau railway stations. The railway transportation of containers from/to GIFP is an effective alternative to road transportation, especially during the summer when stringent restrictions for the movement of trucks apply.